As someone who received their B.S. in biology from UC Davis, I have always been fascinated with science. I read extensively about everything science and have learned a lot about women scientists from books such as A World From Dust and magazines such as Astronomy, Science News, and Scientific American. Below are some great women who have impressed me with their contributions to science. Developed the theory of radioactivity, ways to isolate radioactive isotopes, and discovered two elements, polonium, and radium. Curie directed the first studies in the treatment of neoplasms using radioactive isotopes. 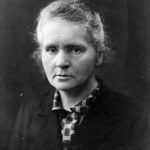 She founded the Curie Institutes in Paris and in Warsaw, still important centers of medical research. During World War I she developed mobile radiography units for X-ray services to field hospitals. She won two Nobel Prizes for physics (1903) and chemistry (1911). She is discussed in the book The Curies: a Biography of the Most Controversial Family in Science. An American evolutionary theorist and biologist, science author, educator, and popularizer. She transformed the understanding of the evolution of cells with nuclei by proposing it to have been the result of symbiotic mergers of bacteria. These eukaryotic cells make up multicellular creatures such as plants and animals (bacteria are prokaryotic cells, without nuclei). 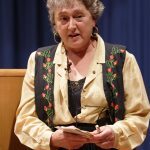 Lynn Margulis is my particular scientific hero because of my interest in evolution and the origin of life. See her books Symbiotic Planet and What Is Life? 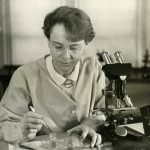 Received her Ph.D. in botany from Cornell University in 1927, where she started a career as the leader in the development of maize cytogenetics, developing a technique for visualizing maize chromosomes. She proposed the idea of genetic recombination by crossing-over during meiosis, wherein chromosomes exchange information. In the 1940s and 1950s, McClintock discovered transposition and demonstrated that genes are responsible for turning physical characteristics on and off. She won the 1983 Nobel Prize in Physiology or Medicineopens a new window, and is the subject of the book A Feeling for the Organism. An Australian geologist and astrobiologist of the NASA Jet Propulsion Laboratoryopens a new window who studies stromatolites, detection of life on other planets, and evolution of life on early Earth. 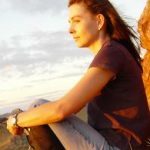 Her early work found evidence of life in 3.45 billion-year-old stromatolites in Australia's Pilbara formation. She's a principal investigator on the Mars Rover 2020 team searching for evidence of life on Mars. Allwood is the first female and first Australian principal investigator on a NASA Mars mission. An American astronomer at Louisiana State University. She studies stellar interferometry, stellar spectroscopy, exoplanet research, and high angular resolution astronomy. 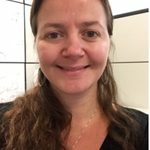 She was the lead author of the September 2015 paper "Where's the Flux? ", investigating the unusual light curve of the star KIC 8462852, known as Tabby's Star in her honor. An English primatologist and anthropologist. Considered to be the world's foremost expert on chimpanzees, she's known for her 55-year study of social and family interactions of wild chimpanzees. 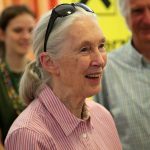 She established the Jane Goodall Instituteopens a new window and the Roots & Shoots programopens a new window and has worked on conservation and animal welfare. In April 2002, she was named a UN Messenger of Peace. She writes of her life in In the Shadow of Man. What women scientists have impressed you? Share in the comments below!